Blogs are a great source for email inspiration, just like this beginners guide to email marketing and these 30+ best email marketing campaigns. But sometimes it’s good to dig deeper. Books are still the best way to do this – at least until people start making documentary films about email marketing. This list will give you cutting-edge ideas for your email marketing, all your other marketing, and even your business’s future. The titles are listed in order of how helpful they might be, so for example, if you can only read one, read the first. If you can only find time for three, read the first three. 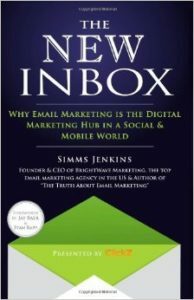 This is an excellent all-around email marketing book that will brush up your skills fast. Whether you’re a beginner or an expert, Brodie has a lot to offer. His clients pay over $500 an hour for his time, so being able to buy his book for $14 (or for $4 on Kindle) is a steal. There’s no way you can read this and not come away with at least one killer idea. 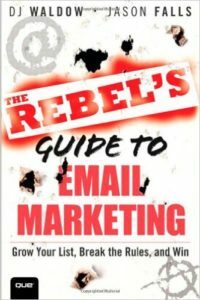 This is another general book about how to do email marketing, but it’s written by two of the smartest guys in the business, and it was published within the last twelve months. To not read it would be doing a disservice to yourself and your subscribers. 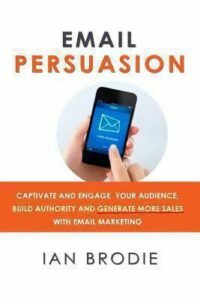 Like “Email Persuasion”, there’s no way you’re reading this without getting a few fantastic, practical ideas. “The money’s in the list.” We’ve all heard it a thousand times. Guess what? The future’s in the list, too. 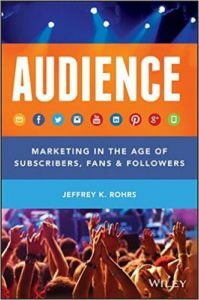 Rohrs book does talk about building an email list, but his view is even wider – he sees all of business as the function of building, engaging and helping an audience. 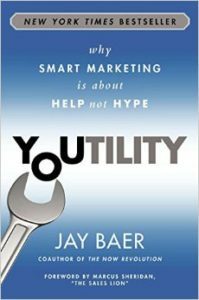 Throughout the book he gets specific about what that might look like via email marketing, social media and beyond. 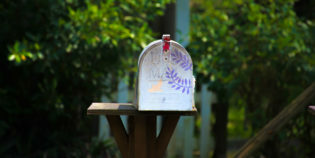 If you want to see email marketing in a new light, this is the ticket. Proponents of email marketing and social media marketing have been struggling against each other for too long. Simms Jenkins knows how to make them play nice. 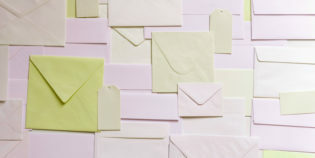 Besides, it ends up that email and social are actually a match made in heaven. Giving this book a few hours of your time will improve both your email marketing and your social media marketing. It’s good enough to make you want to share. If you think email is boring, you haven’t met DJ Waldow. He identifies himself as the loudest person in the room and has enough enthusiasm for a cheerleading squad. He also knows an enormous amount about email. If you want something fun to read about email, this is your book. 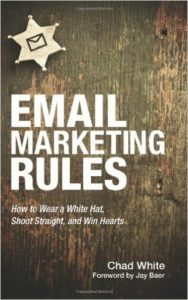 This is not specifically an email marketing book, but it’s definitely a book email marketers should read. 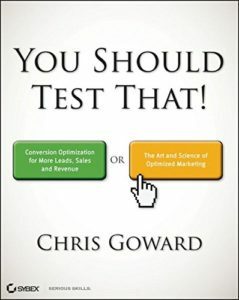 It is possible – literally, no exaggeration – that reading this book could double your website sales. Seriously. What’s even better is that your GetResponse account has a lot of testing capability already build into it, just waiting for you. If you’ve been wondering what to test, You Should Test That will make you feel like a kid in a candy store. It’s great to test, but it’s better to start out with a good design or interface from the beginning. This book will show you how to do that. 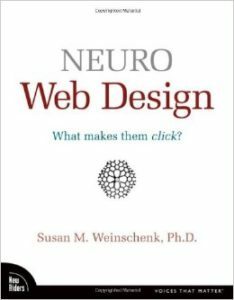 Neuro Web Design is not last word on interface design (ie, how to get people to do stuff online) but it’s clear, effective and will make your all your marketing more effective. Here’s another title that’s not specifically about email marketing, but that’s worth reading nonetheless. Youtility is a mind-set that gives a small, solo entrepreneur a way to compete with anyone – from the guy in the office next door to a Fortune 500 company. Reading this will help you see opportunities to help your customers and subscribers in ways you hadn’t thought of before. And if you’ve been itching to add an app to your marketing mix, this will make you wish you started last month. This is more of business management book for solo entrepreneurs, but it goes deep into the nuts and bolts of running a startup Internet marketing business. 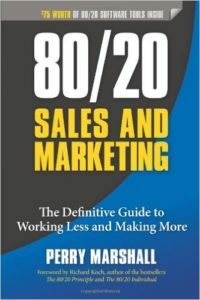 Whether you call it a time management book, or a business strategy book is your call, but either way Perry is one of the smartest guys in Internet marketing. He’s totally focused on small businesses. He’s escaped the cubicle, and wants you to do it, too. 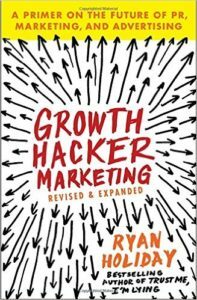 “Growth hacking” is quite the buzzword these days, but the buzz is well deserved. This book is only available as a $4 Kindle book, but don’t let that stop you – Kindle books can be read on any laptop, on Android or iPhones, and on most tablets. You don’t need a Kindle to read this book and kick all your marketing up a notch. Once you’ve done your homework and broadened your email marketing knowledge don’t stop there. Improve your marketing efforts with the power of persuasion and learn how to effectively influence your customers’ decisions. This article will provide you with just the right guidance – Top 10 Books on Persuasion Every Solopreneur Should Read.